Born April 20, 1924 in Toa Alta, Puerto Rico. In 1930 Rivera Martino moved to New York City and spent most of his early years in the “Big Apple.” He served in the US Army from 1942 until 1944 and, at the request of The Ring founder/ editor Nat Fleischer, covered Joe Louis’s tour of US Army camps for "The Bible of Boxing." Upon returning to Puerto Rico in 1948, he continued writing for the venerable magazine, penning his first ringside report in 1950. He remained at The Ring as the Puerto Rico correspondent for over 50 years, covering such luminaires from the boxing-rich island as Jose Torres, Carlos Ortiz, Esteban DeJesus, Edwin Rosario, Wilfredo Gomez and Felix Trinidad. 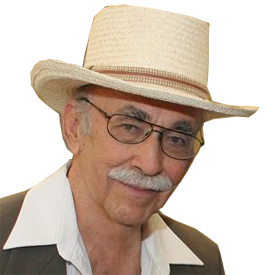 During his career in boxing, he was boxing columnist for The San Juan Star (1974) and Director of Public Relations for the San Juan-based World Boxing Organization (1996-2010). He was also appointed Boxing Commissioner for Puerto Rico in 1991 and President of the Puerto Rico Boxing Commission in 1992. Rivera Martino died on September 13, 2017 at age 93.